The Deacons provide a ministry of support, caring, and assistance to members of the congregation and the surrounding community. 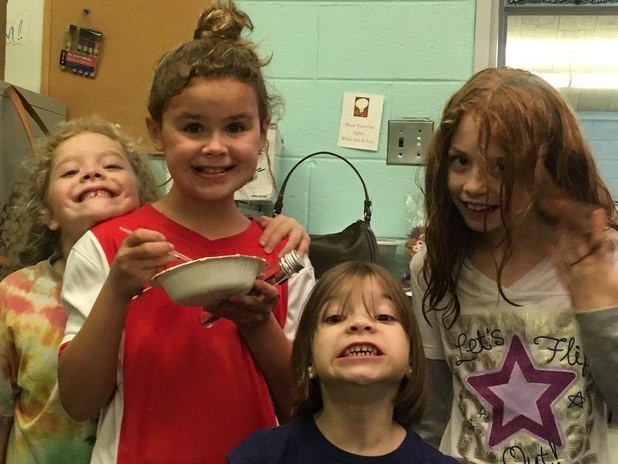 They are involved with local organizations such as Kids Alley in Camden, The Unforgotten Haven in Blackwood, Bianca’s Kids, Christian Caring Center, Joseph’s House, Interfaith Hospitality Network, and Cherry Hill Food Pantry... just to name a few. 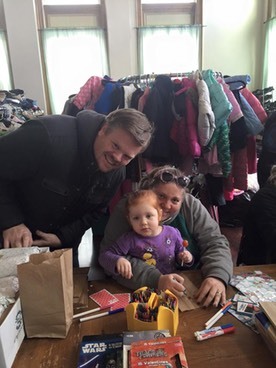 Within their own church, they organize food drives, Thanksgiving collections, Christmas giving for children, and other special needs that aid the community as the needs arise. The mid-week Bible Study meets every other Wednesday at 2:00 PM at CPC. The groups selects a book for the study - sometimes from the Bible and sometimes about the scriptures. All are welcome to join this small group for shared conversation and fellowship as we explore what God is calling us to be and do. CPC is very involved in several missions abroad, such as helping to support two missionaries in Central Asia. Funds are raised through One Great Hour of Sharing which go to Presbyterian Hunger Fund, Presbyterian Disaster Relief and Self-Development of People. Members of the Mission Committee present regular Minute for Mission updates on events which need our prayers , material goods and financial help. 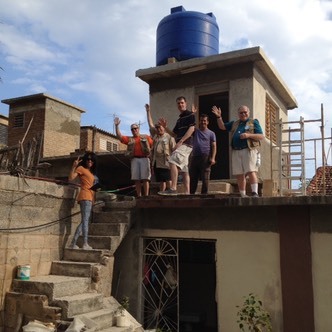 Several members of CPC are active with work in Cuba including installing water systems through Living Waters for the World . Several members have been to visit our sister church, Prince of Peace in Matanzas Cuba. CPC is becoming very active in local mission work. We sent two work groups to Ventnor, NJ which was heavily damaged by Hurricane Sandy to help rehabilitate a home. We have also teamed up in the past with Habitat for Humanity to assist in the building of homes for families in need throughout South Jersey. More recently, our Mission Team has been involved with supporting K-9 training with Semper Fido in Marlton, The Blessing of the Animals, Urban Promise and the Cherry Hill Food Pantry and Outreach in conjunction with the Deacons. Led by our talented Director of Music, Myra Sparks, the adult choir rehearses on Thursday evenings at 7:00 PM in the Sanctuary and sings at the Sunday morning 11:00 AM worship service. 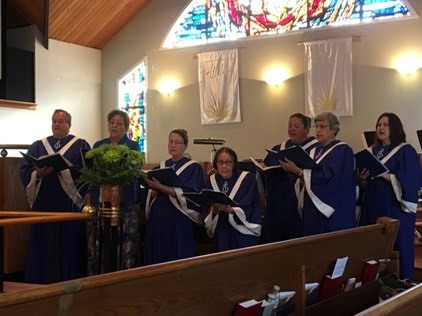 The adult choir also performs special music throughout the year, at Advent and Lenten services, and at community worship services. Special music also is included, with the performance of talented members of the congregation participating in choral and instrumental pieces. Most recently we have added our Youth Choir for the children of our congregation. The Youth Choir sings periodically at services throughout the year. Parish life activities are held to provide opportunities for fellowship among families and individuals within the congregation. 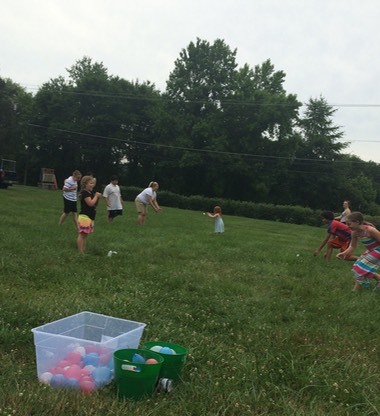 Events have included covered-dish meal movie night, game nights, miniature golf outings, Easter Egg Hunt, July Fourth picnic, Fall Festival, Fondue Dinner night, and special Advent events. Care and the love of knitting and crocheting are combined into a prayerful ministry that reaches out to those in need of comfort and solace. Many blessings are knit into every shawl. The knitter or crocheter begins each shawl with prayers for the recipient. When the shawl is completed it is offered a final ritual blessing before being sent along its way. This ministry is a service to bring comfort, a feeling of security, and the knowledge that the recipient is surrounded by the love of this community of faith. The group meets on the third Saturday of the month at 10:30 AM in the church library. 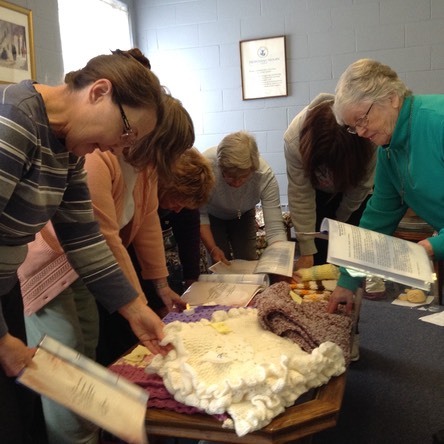 Our Prayer shawl Ministry celebrated its tenth anniversary in May of 2016. At its first meeting on May 6, 2006, there were 16 women in attendance. We were so encouraged by the interest in this ministry that we immediately began dusting off our knitting and crocheting tools. Since that first meeting we have given away over 500 prayer shawls, not only to our congregation, but to friends in need of comfort in FL, Maryland, New York, and New Orleans. Prayer shawls are not only given during times of stress, but to celebrate joyous occasions such as a wedding or graduation. We would welcome anyone to join us. You need not have expert skills in knitting or crocheting. We will be glad to help you get started. The women of the congregation meet as a group for Bible study using Horizon Study, and to engage in several service ministries throughout the year. They provide assistance in relation to needs for food, rides to medical appointments, as well as visits to the homebound and lonely. Activities organized by the group include social events and fund raising activity such as our semi-annual book sales and gift card sales. They meet on the third Wednesday of the month (September through June) at 10:00AM in the library at CPC. Recognizing the bounty with which we have been blessed, and that there are those who are experiencing hunger insecurity in our community, members of the congregation set aside two cents each meal to help feed the hungry. A Two-Cents-A-Meal collection is taken on the third Sunday of each month when each family brings in the coins collected during the month. The collection is forwarded to the Cherry Hill Food Outreach Center. 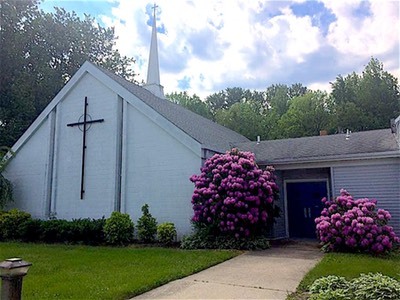 Adults meet on Sunday mornings at 9:45 AM before service for Adult education, run by Rev. Lory D. Ryan. The youth of our church are ever growing and changing. They are the heartbeat of the congregation, and as a church family, we are there to support them in any and all ways. The youth are involved in many ways, such as Youth Choir at 9:45am, follwed by Sunday School at 10:00am. 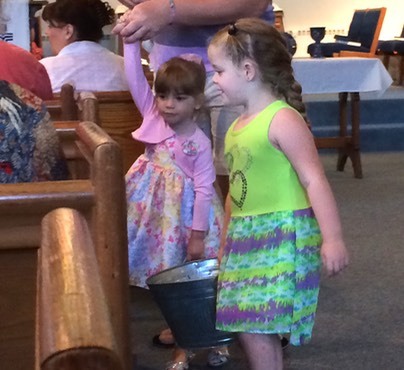 We also have our weekly Children’s Moment during service where Pastor brings the children to the front and speaks to them about the Sermon message through a life lesson. After which, they head off to their own Junior Church, led by our own Parish Life leader, Bonnie Jewart. 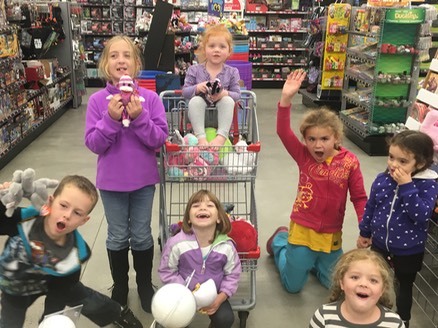 The youth have their own ministries that they partake in throughout the year, such as collecting stuffed animals to donate to the local police for children found on distress calls. Also they organize a bake sale and flower sale for Valentines Day to raise money to purchase an animal through the Heiffer Organization. We are also always happy to support their school fundraisers, and the many Girl Scouts we have during cookie season! Our youth love to be involved and we love to support them any way we can!